This is a fantastic opportunity for Footgolfers, with a dedicated and separate 9 hole course with a mixture of holes in terms of difficulty and distance. The holes range from 39 yards to 91 yards and the challenges and tricks vary along the way. This course is suitable for those aged over 5, but apart from that, Footgolf is easily accessible to young and old alike. The course is gently sloping making it ideal for newcomers or those looking for a little more challenge. 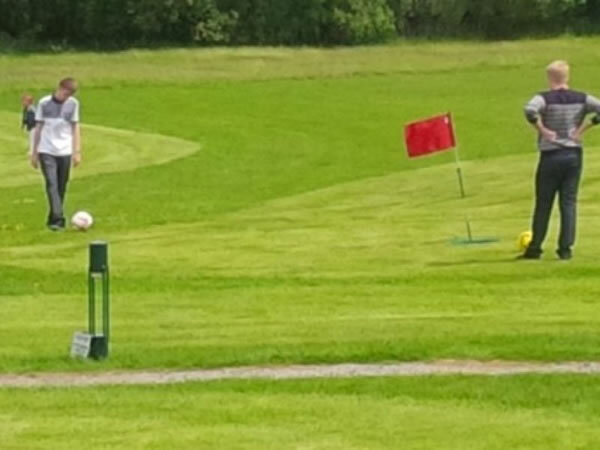 Also on site is Crazy Golf, and York Golf Range additionally offer birthday party packages, so incorporate Footgolf for a party with a difference! There is a Café and Coffee Bar serving light refreshments. Footballs are available to hire and there are Size 3 footballs available for younger children who will find this size easier.